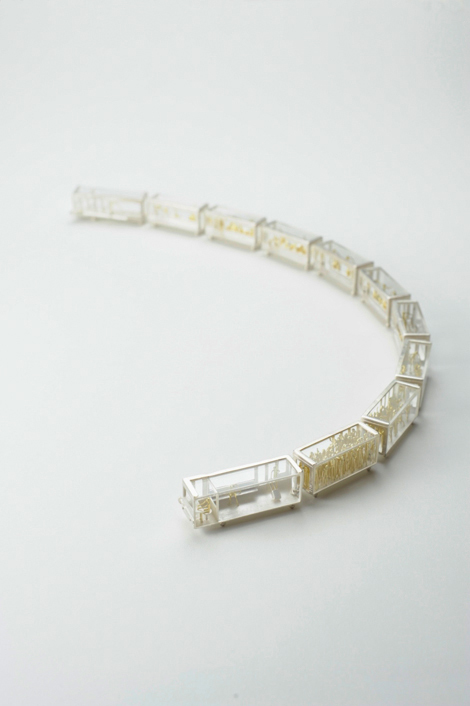 This train necklace consists of 11 cars. From 6am (the first train) to 2am (cleaning at the end of the day), each car expresses a time difference of 2 hours. This train necklace has wheels and you can play with it as a toy.